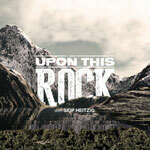 Upon This Rock teaching series by Pastor Skip Heitzig. When most people hear the word "church," they think of a structure with a steeple, or an institution filled with men in black robes. But what did Jesus mean when He said, "Upon this rock I will build my church"? What does He want it to be, and how can it be established, built up, and encouraged to grow? You've Come to Church...Now What?